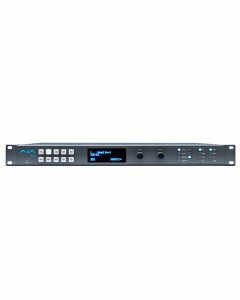 Offering huge flexibility and the power to adapt to meet the needs of rapidly changing environments, FS2 offers unprecedented conversion and frame synchronization power in a single 1RU space. FS2 can be used as two separate Frame Synchronizers/Format Converters, or the two channels can be linked with the internal FS2 keyer to do the work of three or more devices - for example HD sidebar keying where both the video and background graphics are up converted and combined. 100-240 VAC 50/60Hz (Dual, redundant power supplies), 55W typical; 80W max. 15A max.